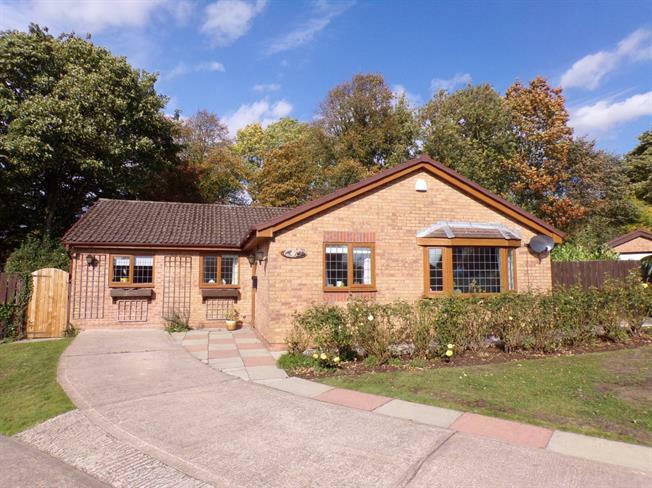 4 Bedroom Detached Bungalow For Sale in Stockport for Asking Price £425,000. This beautifully presented four bedroom detached bungalow represents an ideal purchase for young family or those looking for ground floor living. The bungalow is bright and spacious throughout with well proportioned rooms and offers a great deal of flexibility. The property is currently configured as a four bedroom home however this can be changed and adapted to extra reception rooms. The property can easily be extended or adapted into further living space and the huge plot gives the property a great deal of scope.. The garden at this property, is perhaps the most appealing feature and offers numerous area's to help extend the family to outdoor living. The garden extends to the front, rear and side, with the side plot providing a completely private 'sun trap' area, whilst the rear is a huge private garden. Double glazed uPVC bay window facing the front. Radiator, downlights. Double glazed uPVC window facing the rear overlooking the garden. Radiator and electric heater, ceiling light. Double glazed uPVC window facing the front. Wall and base units, space for washing machine, dryer. UPVC double glazed door, opening onto the patio. Double glazed window overlooking the garden. Tiled flooring, ceiling light. Double glazed uPVC window facing the rear overlooking fields. Radiator, ceiling light. UPVC double glazed door, opening onto the patio. Radiator, downlights. Double glazed uPVC window facing the rear overlooking the garden. Radiator, ceiling light. Low level WC, panelled bath.